Description: This is the largest Alopecosa species occurring in Denmark. The clear markings of the carapace and abdomen are characteristic and enable easy identification in the field. 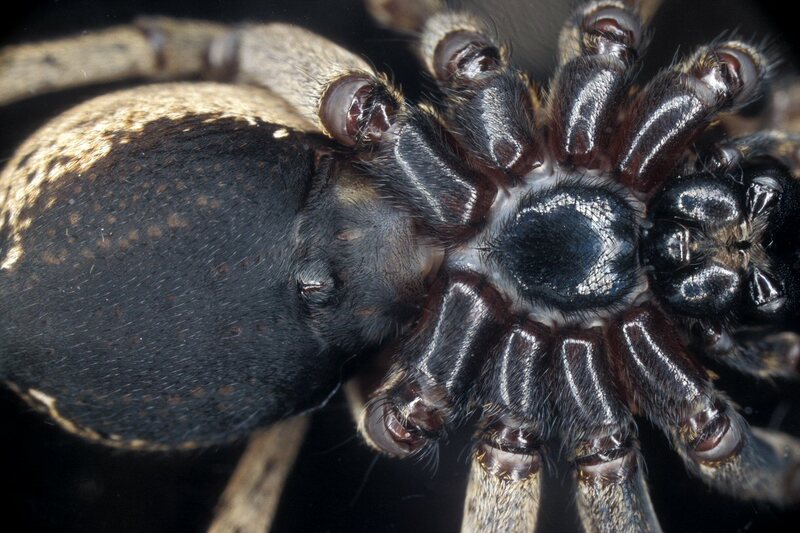 The ventral side of the prosoma (coxa, sternum, labium og maxilla) are dark brown to black while the underside of the abdomen is soothy black. 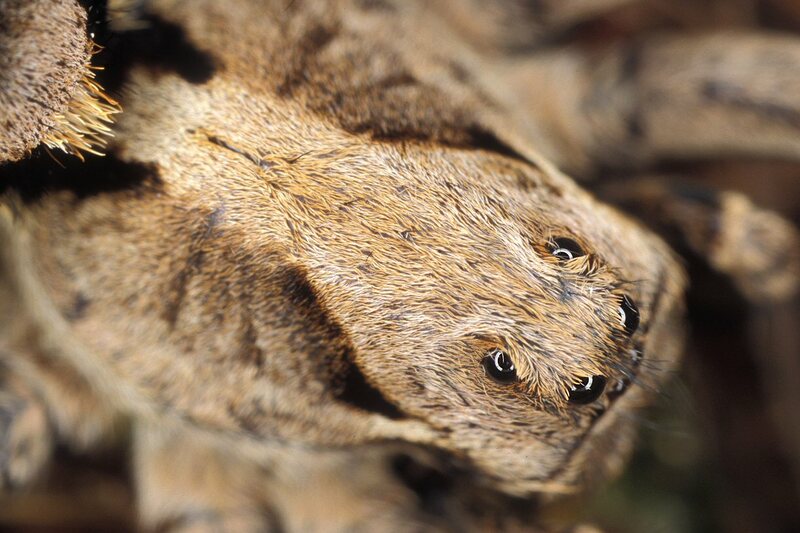 Female carapace with wide light median band broadened anteriorly and covering the entire eye region. Two dark spots are present at the rear of the carapace opposite two kidney shaped blotches on the abdomen. Further back on the abdomen, there are two more spots at the first pair of the rather faint chevrons. Male is slimmer than the female and with more contrasted markings. Tibia I is not darker than other leg segment, swollen or furnished with long dark hairs as in males of other Alopecosa species. Size: Female 14-15 mm; male 10-12 mm. Genus: Alopecosa Simon, 1885. 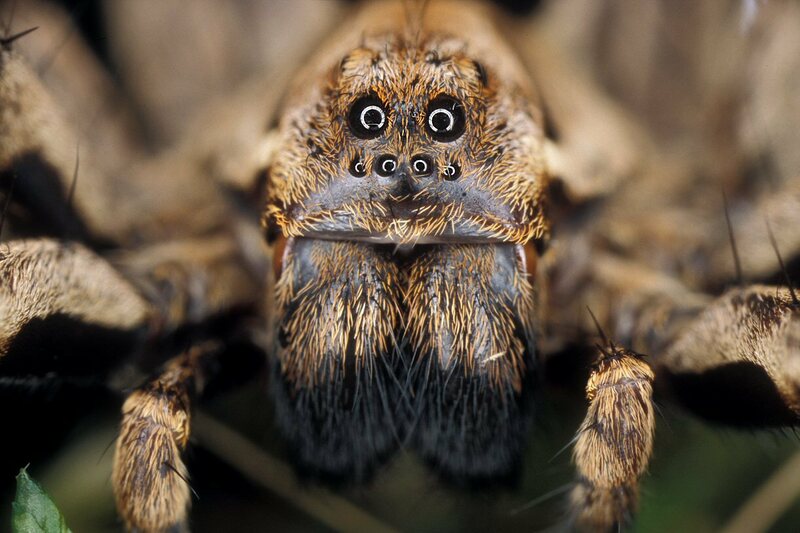 (Fox-spiders). 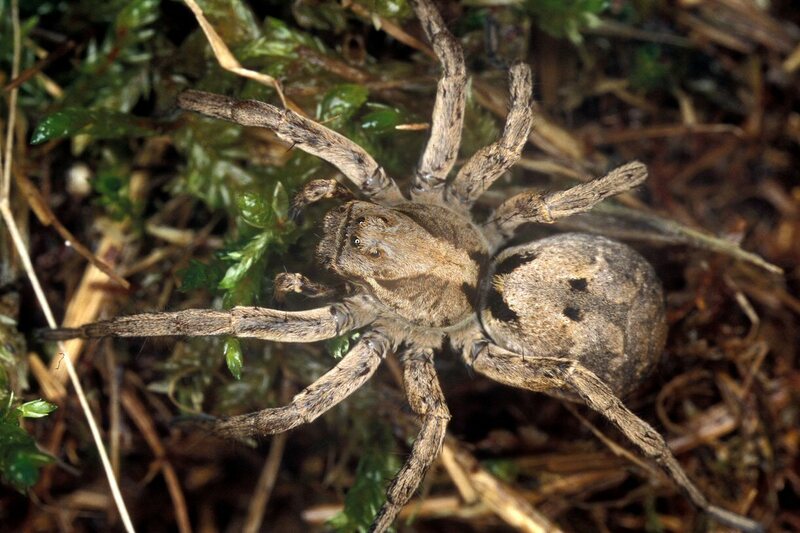 Characters of genus: Alopecosa seconds Pardosa in species richness within the Lycosidae. 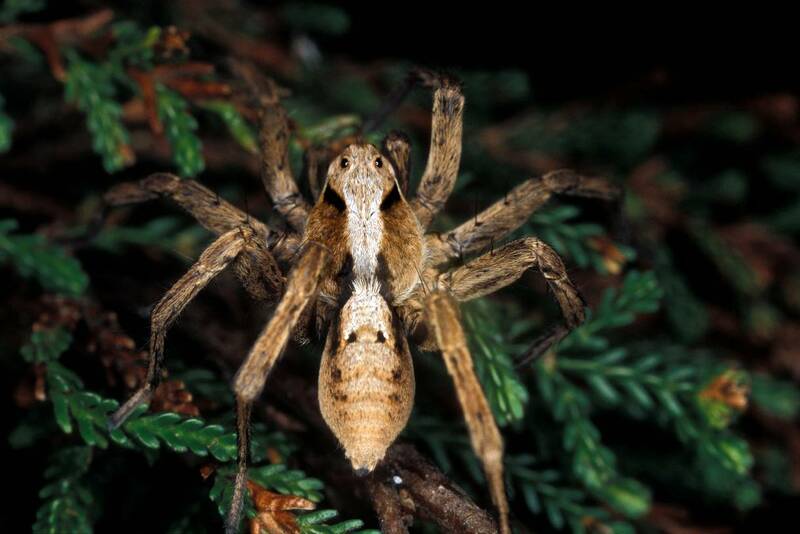 Medium-sized to large spiders with clear median band on the carapace wider than the eye group. Legs are stout with some males having swollen tibia I. Abdomen with clear cardiac mark. The species can be grouped by the colour of the ventral surface which is black in some species and light-coloured in others. The females dig a burrow where they guard their egg sack.